The S-500 will significantly outperform the most modern Russian surface-to-air system, the Triumph S-400. 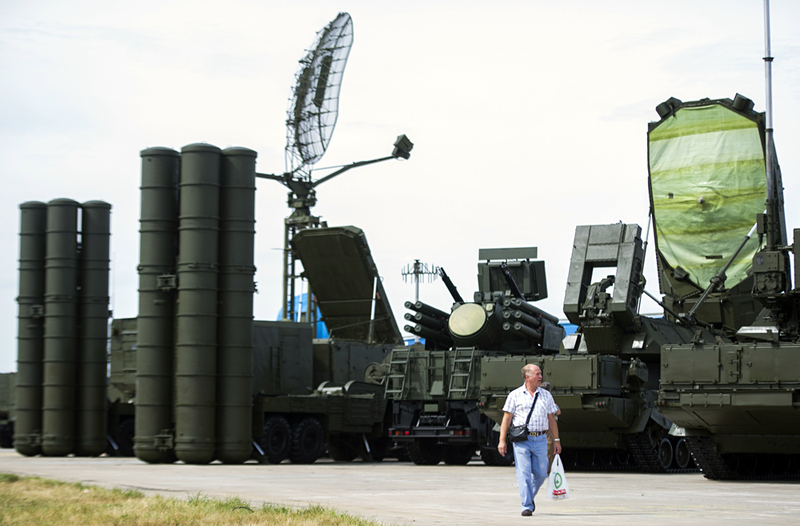 Thanks to new super inaudible radio channels, Russia's enemies will not be able to hear communications for the S-500 surface-to-air missile system. Russia’s new S-500 long-range surface-to-air missile system will have new radio communications systems that are unrivaled in terms of quality, data transmission distance and stealth, according to its developers. "Currently, the corporation is developing the next, sixth-generation radio communications resources for completing the various types of military technology, including air-to-surface missile systems – those already present in the armed forces and those that will be in the future," said a representative of the Russian defense industry, noting that the future S-500 surface-to-air missile system is one of them. The source explained that the radio stations of the previous generation worked on frequencies that had been established earlier, something that increased the possibility of the transmitted information being tracked and intercepted. In future systems it will be impossible for such situations to occur. "The equipment will have completely new potential and will significantly increase the quality, range, protection and stealth of communications. Sixth-generation communications technology will be created within the next two years," said the representative. Anti-aircraft warfare and missile defense system expert Mikhail Khodaryonok told Gazeta.ru that anti-aircraft warfare resources and communications systems are primarily required to be stealthy and immune to disturbances. "Stealth in order to conceal what people are saying, what is being transmitted, the type of information exchange and immunity to disturbances so that communications work in all conditions, even when exposed to the enemy," explained Khodaryonok. "No disturbances created by the enemy when the telecoded information is being transmitted must affect the system's efficiency, because the command center is in one place, the division in another and the launching pad in a third. But information must be transmitted. There are antennae that stretch out and help establish communication," he said. The S-500 is a universal long-range and high-altitude interception system with increased anti-missile defense potential. The system will significantly outperform the most modern Russian surface-to-air system, the Triumph S-400, which proved its worth during the recent Russian air force operations in Syria by covering the entire territory of the country (it has a 250-mile radius), turning it into a no-fly zone. The S-500 will be able to detect and simultaneously strike up to 10 ballistic supersonic targets flying at a speed of 4.5 miles per second and strike the warheads of hypersonic missiles.